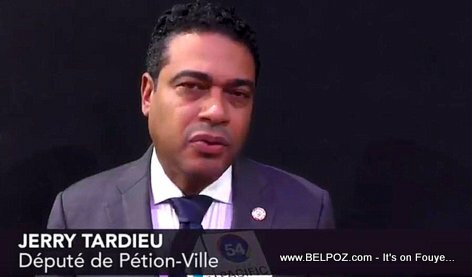 Jerry Tardieu, the Depute of Petionville came up with a proposed "sortie de crise" suggesting President Jovenel Moise submit his resignation in order to restore stability in the country. The depute who is working on a commission to amend the constitution of Haiti proposes "the establishment of a roadmap of the government of public safety (translation from French for gouvernement de salut public) composed of personalities known for their competence and their successes in their respective sectors. It will have to include major reforms today more than necessary." In other words... Get rid of Jovenel Moise as president place a group of people in his place to run the country in a transition type governmnet. Listen to this audion interview where journlaist Marie Lucie Bonhomme asked Depute Tardieu about his proposition for the Haitian president to resign and what good will come out of it for the country. Marie Lucie, ou ou poze bon kesyon e komante w yo byen plase. Nou antann nou pou kraze, men jame pou konstwi.